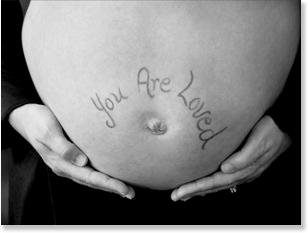 Our maternity sessions are only the beginning of the amazing portraits we will create together. We offer both color and classic black and white images of you, your husband or even another child in a private, one hour session with Susan and a female assistant. We have several silky, flowing outfits you can wear to show your belly off, or you can wear a simple outfit of your own. You can be as daring or shy as you feel comfortable with! We show you many samples of poses before the session to discuss what you like.